The Internet's new source for CatDV info, tips, news and integration help. Or contact us today for a full Server demo and we'll connect you to our preferred partner network for system design, pricing and purchase. CatDV Demo Video – part 4 – final! 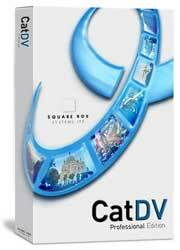 Here’s the complete CatDV Demo Video, all in one page. Enjoy. Part 3 of the Editor’s Guild Demo is up. Look down below to link to part 1. Part 2 of the Editor’s Guild Demo is up. Look down below to link to part 1. 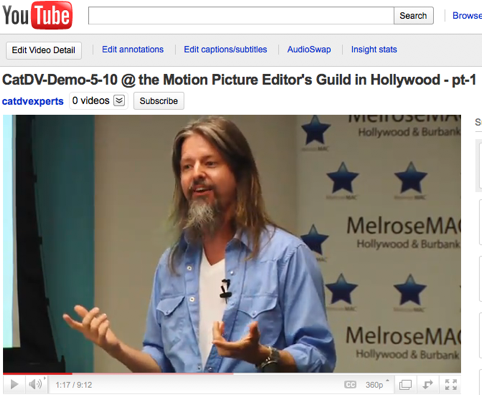 The guys and gals over at Melrose Video Professionals have linked out my CatDV demo video from the Editor’s Guild. Take a look at it at the link below, and check in again for the final segments, which will be released weekly. We’re proud to announce the launch of CatDVexperts.com. The new home of North America’s premiere CatDV integration specialists. Stay tuned to us for tutorials, demos of new features, case studies and articles on general topics of interest to folks who manage assets for a living. We’ve helped more companies integrate CatDV than any other company in North America and we look forward to helping you as well.